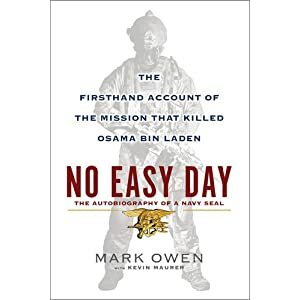 This past week we’ve heard from “Mark Owen,” the name attached to a new book called No Easy Day about his experiences as a SEAL and specifically about the raid on Osama bin Laden’s compound last May. It was an interesting read, along with his interview on 60 Minutes on Sunday. I thought that he has a lot of good pointers for ordinary businesses that are trying to make a killing of the non-lethal kind. So what are some of the takeaways that IT managers and staff can learn from the SEALs? Collaborate and communicate. It is all about the team, not just about you. In his book Owen mentions how his motivation for writing came from hearing the distorted narratives around the raid as well as the dissatisfaction of his fellow SEALs in getting their own story out. What impressed me about his descriptions were that weren’t “individual egomaniacs” but instead were “team players who tried to do the right thing.” The various deployments that Owen describes in his book involve a lot of careful coordination and constant communication about methods and results, something that we all can learn from. How often do we say we are going to collaborate on some project but what that really means is that I am taking over and you are just going to rubber-stamp my work? Don’t go into unknown territory with guns a blazing, but proceed with caution and deliberation. Several times Owen was faced with a completely unknown landscape in searching for terrorists or potential suicide bombers and he and his cronies would carefully move into position. He makes it clear that the old cowboy stereotypes no longer apply. Training is essential to any smoothly run operation. Make contingency plans when things fail, and rehearse them before the failure happens. The raid on bin Laden’s compound was practiced close to 100 types in a special life-size mock-up facility on a base in North Carolina so the team could get used to working together and having the mental memory of what they needed to do. As we all know by now, those plans went awry almost from the start as one of the helicopters crashed inside the compound and the team had to improvise. How many IT projects get this kind of rehearsal? Not as many as should be. Know the limitations of your equipment and what it can’t do for you. But also don’t be afraid to ask for the best gear either. For their various deployments, the SEALs could requisition whatever tools, guns, and other devices they needed, no questions asked. Granted we all live in the real world and budgets prevail, but how many times have projects been aborted because of some aging server or defective network card? Get the gear that you need for your job up front. Don’t fall victim to the ‘good idea fairy.’ Owen mentions in his book this concept, when large committees get caught in suggesting ideas to supposedly improve an already solid plan. “Officers and planners [who have too much time on their hands] start dreaming up unrealistic scenarios that we may have to deal with on a mission. She isn’t our friend.” Know when enough is enough and don’t get taken into her clutches. “If we had all the time back we wasted fighting the fairy, we might regain a few years of our lives,” he says.